Pleasanton, CA, August 12, 2016 - Maddie's Fund®, a national family foundation based in Pleasanton, CA, has awarded First Coast No More Homeless Pets (FCNMHP) of Jacksonville, Florida with a grant of $300,000 to support the opening of their second low-cost veterinary hospital and to aid in implementing their lifesaving programs across the country. "FCNMHP is considered a model in supplementing the services of local animal shelters greatly reducing the shelter admissions and deaths. This second clinic location will add much-needed capacity to our low-cost services and help us maintain Jacksonville's no-kill status," said Rick DuCharme, FCNMHP's Founder and Executive Director. "Thanks to Maddie, these funds will help tens of thousands of pets and their families, many of whom could not afford veterinary care, reducing 'economic euthanasia' where families feel their only option is to have their treatable pet euthanized because they can not afford the care," continued DuCharme. "These funds will also expand our capacity to share our model and lifesaving programs nationwide." In addition, the revenue from the veterinary hospital will help support critical programs, such as free spay/neuter surgeries for animals most at risk, including pets of low-income families, feral cats and large dogs, and large adoption events, that are crucial to reducing shelter intake and euthanasia. DuCharme sees this as a model for animal welfare programs nationwide. Representatives from organizations across the country have already visited the clinic to learn about the business model. 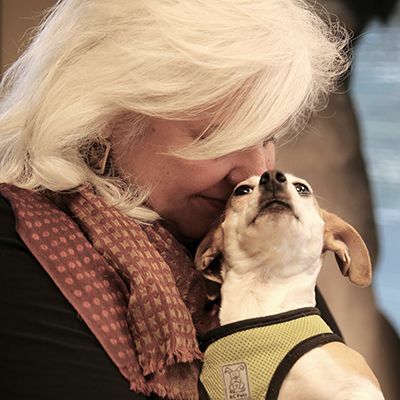 "This type of facility is critical for helping underserved communities keep their pets, reducing shelter intake and unnecessary euthanasia, and helping us work toward a no-kill nation," said Shelly Thompson, Director of Grants at Maddie's Fund. "We applaud FCNMHP for their incredible achievements in serving both pets in shelters as well as those in the community, and for helping spread their programs across the country. What they've helped to accomplish in Jacksonville, and beyond, is outstanding."